Queen bed/mattress & box spring & bed frame $200. TV stand (glass) $25. 40" Samsung TV $300. Coffee Table set of 3 $50. Armoire $60. 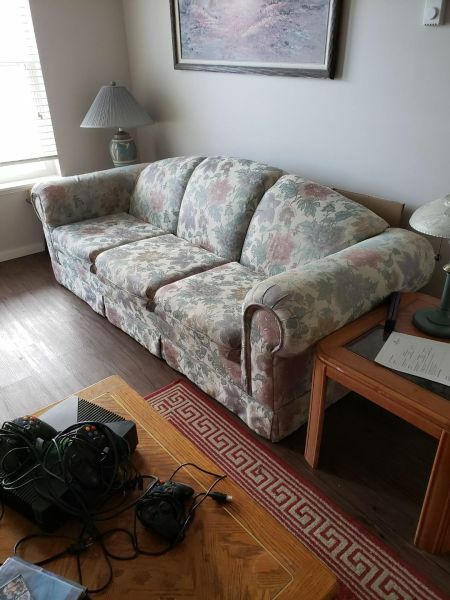 Sofa $50. Loveseat $35.